Hi There! 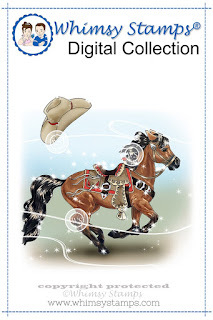 Today I have a fun western themed card to share. 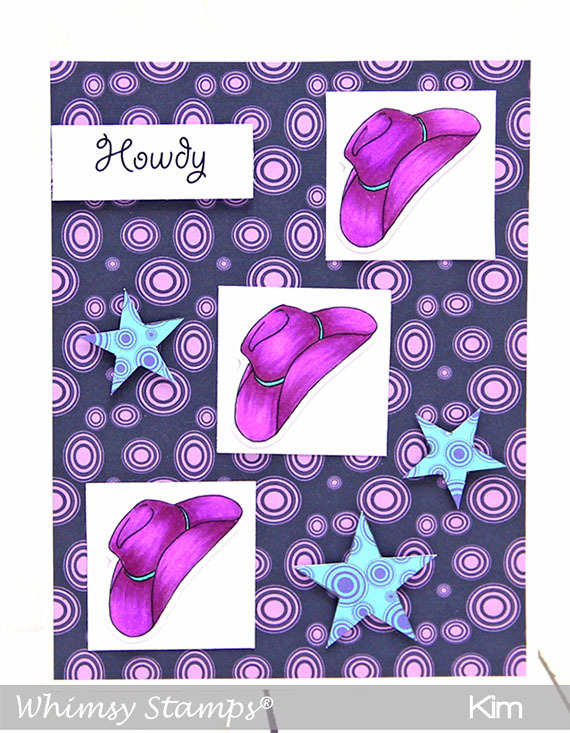 I am using the hat from the Western Pony and Cowboy Hat set from Whimy Stamps. I resized the hat to fit my card which is an A2 size. I colored the hats using Copic markers and popped them up with foam tape. The patterned paper is from the Wonky Circles digital paper set. I used a simple star shape and traced it onto the turquoise and purple paper and cut them out. I used foam tape to pop up the stars and the sentiments. P.S. I have a brand new blog and hope that you recognize me with the long hair! LOL!